This has been sitting around for a while, I was gonna work on it more. But eh. XD Don't think it'll get any better then it is right now, without redoing the whole thing. So! For those that know us, Fenn and I are pretty into Buddyfight. 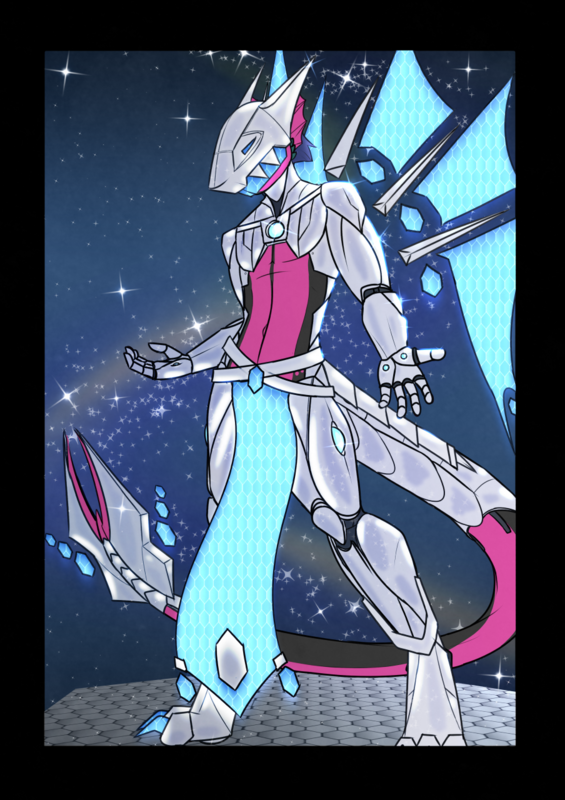 I play Star Dragon World, so I thought, I should really draw Dak in a Star Dragon type form/outfit. So here it is! I got some other pictures of this in mind for later. But yeah!